A most spectacular dinner conversation. Literally. What do you get when stringing several famous quotes together? Answer: a most spectacular dinner conversation. I invited 12 of my closest literary friends through time and space to gather around for this mélange of ideas and opinions. These poets, diarist, novelist, and satirist are all seekers, lovers, and stalwarts. Great party you have here. Can I come along, I shall serve the coffee if you wish. BIG thanks! 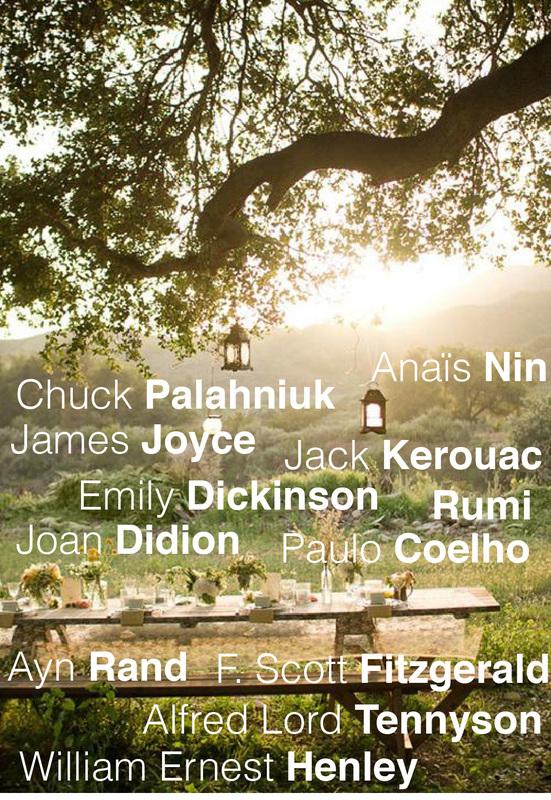 Can you imagine if Emily Dickinson sat next to Chuck Palahniuk @ dinner? Who would verbally slay whom? Rock on.